This relatively new spot serves exquisite moist brisket capped with a quarter-inch of translucent fat and crispy bark. 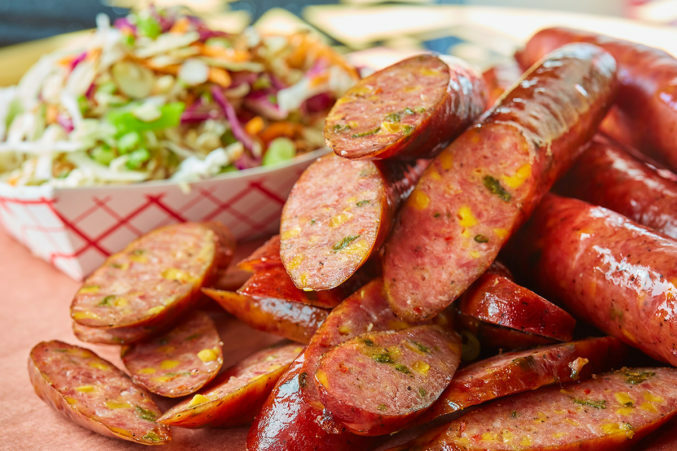 Don’t pass on the jalapeño sausage checkered with thick cubes of cheddar cheese. Ribs are outstanding. You’ll find smoked prime rib, pork chops, and tenderloin on the weekends.